Picture - U.S. Navy SH-60B preparing to land on USS Kitty Hawk. During the 1970s the US Navy began looking for new helicopter to replace the Kaman SH-2 Seasprite. 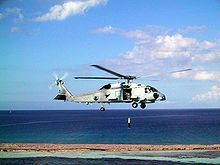 The SH-2 Seasprite was used by the Navy as its platform for the Light Airborne Multi-Purpose System (LAMPS) Mark I avionics suite for the maritime warfare and a secondary search and rescue capability. Advances in sensor and avionic technology lead to LAMPS Mk II suite, but the SH-2 was not large enough to carry the Navy's required equipment. In the mid-1970s the Army was evaluating of the Sikorsky YUH-60 and Boeing-Vertol YUH-61 for its Utility Tactical Transport Aircraft System (UTTAS) competition. The Navy based its requirements on the Army's UTTAS specification to decrease costs from commonality. Sikorsky and Boeing-Vertol submitted proposals for Navy versions of their Army UTTAS helicopters in April 1977 for review. The Navy also looked at helicopters being produced by Bell, Kaman, Westland and MBB, but these were too small for the mission. In early 1978 the Navy selected Sikorsky's S-70B design, which was designated "SH-60B Seahawk". The SH-60B maintained 83% commonality with the UH-60A. The main changes made included corrosion protection, more powerful T700 engines, single-stage oleo main landing gear, replacing left side door with fuselage structure, adding two weapon pylons, and shifting the tail landing gear 13 feet (3.96 m) forward to reduce the footprint for shipboard landing. Other changes included larger fuel cells, an electric blade folding system, folding horizontal stabilators for storage, and adding a 25-tube pneumatic sonobuoy launcher on left side. An emergency flotation system was also installed in the stub wing fairings of the main landing gear on both sides of the aircraft. Picture - A Seahawk waits above the ground to evacuate a simulated casualty as fellow MARSOC operators bring the Marine on a stretcher. The SH-60B LAMPS Mk III is deployed primarily aboard frigates, destroyers, and cruisers. The primary missions of the SH-60B are surface warfare and anti-submarine warfare. The SH-60B carries a complex system of sensors including a towed Magnetic Anomaly Detector (MAD) and air-launched sonobuoys. Other sensors include the APS-124 search radar, ALQ-142 ESM system and optional nose-mounted forward looking infrared (FLIR) turret. It carries the Mk 46, Mk 50, or Mk 54 torpedo, AGM-114 Hellfire missile, and a single cabin-door-mounted M60D/M240 7.62 mm (0.30 in) machine gun or GAU-16 .50 in (12.7 mm) machine gun. A standard crew for a SH-60B is one pilot, one ATO/Co-Pilot (Airborne Tactical Officer), and an enlisted aviation warfare systems operator (sensor operator). 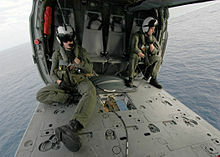 Operating squadrons are designated Helicopter Anti-Submarine Squadron, Light (HSL). The SH-60J is a version of the SH-60B for the Japan Maritime Self-Defense Force. The SH-60K is a modified version of the SH-60J. The SH-60J and SH-60K are built under license by Mitsubishi in Japan. After the SH-60B entered service, the Navy began development of the SH-60F variant to replace the SH-3 Sea King. 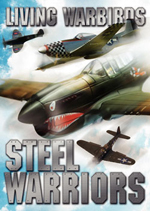 Development of this variant began with the award of a contract to Sikorsky in March 1985. An early SH-60B was modified to serve as a SH-60F prototype. The company was contracted to produce seven SH-60Fs in January 1986 and the first example flew on 19 March 1987. The SH-60F serves as the carrier battle group's primary anti-submarine warfare (ASW) and search and rescue (SAR) aircraft. It hunts submarines with the AN/AQS-13F dipping sonar, and carries 14 sonobuoys. The SH-60F is unofficially called the "Oceanhawk". 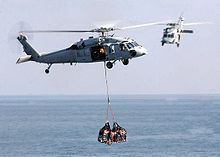 The SH-60F can carry the Mk 46, MK 50, or MK 54 torpedo and a choice of cabin-mounted machine guns, including the M60D, M240D, and GAU-16 (50 CAL) for defense. Standard crew complement is one pilot, one copilot, one enlisted tactical sensor operator (TSO), and one enlisted acoustic sensor operator (ASO). The HH-60H was developed beginning in September 1986 with a contract for the first five helicopters. The variant's first flight occurred on 17 August 1988. The HH-60H was developed in conjunction with the US Coast Guard's HH-60J. Deliveries of the HH-60H began in 1989. The variant earned initial operating capability in April 1990. The HH-60H's official DoD and Sikorsky name is Seahawk, though it has been called "Rescue Hawk". Based on the SH-60F, the HH-60H is the primary combat search and rescue (CSAR), naval special warfare (NSW) and anti-surface warfare (ASUW) helicopter. It carries a variety of defensive and offensive sensors making it one of the most survivable helicopters in the world. Sensors include a FLIR turret with laser designator and the Aircraft Survival Equipment (ASE) package including the ALQ-144 Infrared Jammer, AVR-2 Laser Detectors, APR-39(V)2 Radar Detectors, AAR-47 Missile Launch Detectors and ALE-47 chaff/flare dispensers. Additionally, airframe improvements in engine exhaust deflectors provide infrared thermal reduction reducing the threat of heat-seeking missiles. The HH-60H can carry up to four AGM-114 Hellfire missiles on an extended wing using the M299 launcher and a variety of cabin and port window mounted guns including M60D, M240, GAU-16 and GAU-17/A machine guns. The HH-60H's standard crew is pilot, copilot, an enlisted crew chief, and two door gunners. The HH-60H is operated by Helicopter Antisubmarine (HS) squadrons with a standard dispersal of four F-models and three H-models. Recently HH-60Hs have been used by the Navy, assisting the Army, for MEDEVAC operations in Iraq. For these operations, its crew included pilot, co-pilot, an enlisted crew chief, an enlisted rescue swimmer, and one Corpsmen. The Navy decided to replace its venerable CH-46 Sea Knight helicopters in 1997. After sea demonstrations by a converted UH-60, the Navy awarded production contract for the CH-60S in 1998. 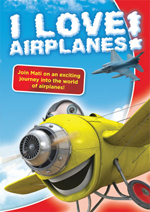 The variant first flew in 27 January 2000 and it began flight testing later that year. The CH-60S was redesignated MH-60S in February 2001 to reflect its planned multi-mission use. The MH-60S is based on the UH-60L and has many naval SH-60 features. It is deployed aboard amphibious assault ships and fast combat supply ships. It has two missions: troop transport and vertical replenishment (VERTREP), but can also perform search and rescue (SAR). The MH-60S has no offensive sensors but can carry the ALQ-144 Infrared Jammer. The MH-60S will, in the near future, deploy with the AQS-20A Mine Detection System and an Airborne Laser Mine Detection System (ALMDS) for identifying submerged objects in coastal waters. The S-model is the first US Navy helicopter to field the glass cockpit whereby the flight data information is relayed to pilots using four digital screens rather than electromechanical gauges and dials. The primary means of defense is with the M60D, M240 or GAU-17/A guns. A "batwing" refit (Armed Helo Kit) based on the Army's UH-60L was developed to accommodate Hellfire, Hydra 70 2.75 inch rockets, or larger guns or cannons. 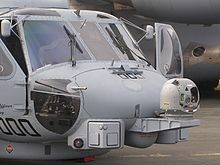 The MH-60S is unofficially known as the "Knighthawk", reflecting its role as the designated successor of the Sea Knight, though this name was formally disapproved in favor of the "Seahawk" name. A standard crew for the "Knighthawk" is one pilot, one copilot and two others depending on mission. With the retirement of the Sea Knight, the squadron designation of Helicopter Combat Support Squadron (HC) was also retired from the Navy. Operating MH-60S squadrons were re-designated Helicopter Sea Combat (HSC). 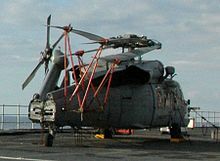 Unlike all other Navy H-60s, the MH-60S is not based on the original S-70B/SH-60B platform with its forward-mounted twin tail-gear and single starboard sliding cabin door. Instead, the S-model is a hybrid, featuring the main fuselage of the S-70A/UH-60, with large sliding doors on both sides of the cabin and a single aft-mounted tail wheel; and the engines, drivetrain and rotors of the S-70B/SH-60. Picture - An MH-60R conducts sonar operations. The MH-60R was originally referred to as "LAMPS Mark III Block II Upgrade" when it began development in 1993. Two SH-60Bs were converted by Sikorsky for the project. The first modified SH-60 made its maiden flight on 22 December 1999. These conversions, designated YSH-60R, were delivered to NAS Patuxent River in 2001 for flight testing. The production variant was redesignated MH-60R to match its multi-mission capability. The MH-60R is designed to combine the features of the SH-60B and SH-60F. Its sensors include the ASE package, MTS-FLIR, an advanced airborne fleet data link, and a more advanced airborne active sonar. It does not carry the MAD suite. Pilot instrumentation will be based on the MH-60S's glass cockpit, using several digital monitors instead of the complex array of dials and gauges in Bravo and Foxtrot aircraft. Offensive capabilities are improved by the addition of new Mk-54 air-launched torpedoes and Hellfire missiles. All Helicopter Anti-Submarine (HS) and Helicopter Anti-Submarine Light (HSL) squadrons that receive the Romeo will be redesignated Helicopter Maritime Strike (HSM) squadrons. The Navy received the first production SH-60B in February 1983 and assigned it to squadron HSL-41. The helicopter entered service in 1984, and began its first deployment in 1985. The SH-60F entered operational service on 22 June 1989 with Helicopter Antisubmarine Squadron 10 (HS-10) at NAS North Island. SH-60F squadrons will shift from the SH-60F to the MH-60S beginning in 2009, they will be redesignated Helicopter Sea Combat (HSC). The Fleet Replacement Squadron (FRS), HSM-41, received the MH-60R aircraft in December 2005 and has begun training the first set of pilots. 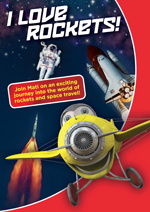 In 2007, the R-model successfully underwent final testing for incorporation into the fleet. As of August 2008, the first 11 combat-ready examples equipped HSM-71, a squadron assigned to the USS John C. Stennis (CVN-74). According to Lockheed Martin, "secondary missions include search and rescue, vertical replenishment, naval surface fire support, logistics support, personnel transport, medical evacuation and communications and data relay." Spain ordered 12 S-70B Seahawks for its Navy. Spain requested six refurbished SH-60Fs through a Foreign Military Sale in September 2010. Australia requested approval to buy 24 MH-60Rs through a Foreign Military Sale in July 2010. The MH-60R and the NHIndustries NH90 are being evaluated by the Royal Australian Navy. The helicopter selected is to replace older Seahawks currently in service. Similarly the Danish Navy (RDN) have the MH-60R on a short list for a requirement of around 12 new naval helicopters, together with the NH90/NFH, H-92, AW159 and AW101. The Request For Proposal was issued on 30 September 2010. A decision is expected in 2011. In November 2010, Denmark requested approval for a possible purchase of 12 MH-60Rs through a Foreign Military Sale. In July 2009, the Republic of Korea requested eight MH-60S helicopters, 16 GE T700-401C engines, and related sensor systems to be sold in a Foreign Military Sale. In July 2010 Tunisia requested 12 refurbished SH-60Fs through a Foreign Military Sale. In February 2011, India rejected the possible Foreign Military Sale of 16 MH-60Rs. Instead, India is considering the S-70B and the NHIndustries NH90 for an acquisition of 16 multirole helicopters for the Indian Navy to replace its aging Westland Sea King fleet. YSH-60B Seahawk: Developmental version, led to SH-60B; five built. SH-60B Seahawk: Anti-submarine warfare helicopter, equipped with an ASP-124 search radar and an ALQ-142 ESM system under the nose, also fitted with a 25 tube sonobuoy launcher on the left side and modified landing gear; 181 built for the US Navy. NSH-60B Seahawk: Permanently configured for flight testing. CH-60E: Proposed troop transport version for the US Marine Corps. Not built. SH-60F "Oceanhawk" Carrier-borne anti-submarine warfare helicopter, equipped with dipping sonar; 81 built for the US Navy. NSH-60F Seahawk: Modified SH-60F to support the VH-60N Cockpit Upgrade Program. HH-60H "Rescue Hawk": Search and rescue helicopter for the US Navy; 42 built. XSH-60J: Two US built pattern aircraft for Japan. SH-60J: Anti-submarine warfare helicopter for the Japanese Maritime Self Defense Force. S-70B Seahawk: Sikorsky's designation for Seahawk. Designation is often used for exports. S-70B-2 Seahawk: Anti-submarine version for the Royal Australian Navy, similar to the SH-60B Seahawk in US Navy operation. S-70B-3 Seahawk: Anti-submarine version for the Japanese Maritime Self Defense Force. Also known as the SH-60J. 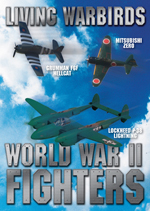 The JMSDF ordered 101 units, with deliveries starting in 1991. S-70-4 Seahawk: Sikorsky's designation for the SH-60F Oceanhawk. S-70-5: Sikorsky's designation for the HH-60H Rescue Hawk and HH-60J Jayhawk. S-70B-6 Aegean Hawk: the Greek military variant which is a blend of the SH-60B and F models, based on Taiwan's S-70C(M)1/2. S-70B-7 Seahawk: Export version for the Royal Thai Navy. S-70B-28 Seahawk: Export version for Turkey. S-70C: Designation for civil variants of the H-60. S-70C(M)-1/2 Thunderhawk: Export version for the Republic of China (Taiwan) Navy, equipped with an undernose radar and a dipping sonar. S-70C-2: 24 radar-equipped UH-60 Black Hawks for China, the delivery of the helicopters was halted by an embargo. S-70C-6 Super Blue Hawk: Search and rescue helicopter for Taiwan, equipped with undernose radar, plus provision for four external fuel tanks on two sub wings. S-70C-14: VIP transport version for Brunei; two built. S-70A (N) Naval Hawk: Maritime variant that blends the S-70A Black Hawk and S-70B Seahawk designs. S-70L: Sikorsky's original designation for the SH-60B Seahawk. Royal Australian Navy - The Fleet Air Arm (RAN) received 16 S-70B-2 Seahawks, and has 16 S-70Bs in service as of November 2008. Brazilian Navy - 4 S-70B Seahawks ordered in 2009 and will replace its older helicopters beginning in 2012. Hellenic Navy - Received 11 S-70B-6 Aegean Hawks, and has 11 S-70Bs in service as of November 2008. Spanish Navy (Armada Espax�ola) - received 12 S-70B-1 Seahawks and has 12 S-70Bs in service as of November 2008. A further six were requested in September 2010. Republic of China Navy - received 21 S-70C (10 S-70C(M)-1 and 11 S-70C(M)-2) Thunderhawks, and has 19 S-70Cs in service as of November 2008 in 701st and 702nd Helicopter Squadron (Light). 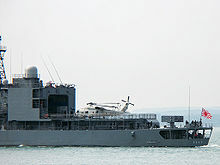 Republic of Singapore Navy - ordered 6 S-70B Seahawks in 2005, with 3 in service in March 2010. Royal Thai Navy - received 6 S-70B-7 Seahawks, and has 6 MH-60S Seahawks order. It has 6 S-70Bs in use as of November 2008. Turkish Naval Forces - has received 8 S-70B-28 Seahawks with 17 more on order in 2007. It has 13 S-70Bs in use as of January 2010. It is to have 25 in use by mid-2011. 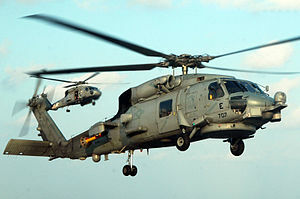 United States Navy - 76 MH-60R in service as of December 2010, 75 more on order. HS-75 "Emerald Knights", Navy Reserve, disestablished in 2007. HCS-4 "Red Wolves", Navy Reserve, redesignated "HSC-84" in 2006. Note: All HS squadrons will be redesignated HSC, and transition to the MH-60S. HSC-84 operates the HH-60H exclusively. HSC-12 "Golden Falcons" redesignated from HS-2 on 6 August 2009. Picture - MH-60S empty cabin and sling load mechanism. AGM-114 Hellfire missile, 4 Hellfire missiles for SH-60B and HH-60H, 8 Hellfire missiles for MH-60S Block III.